Adoptive parents often make a commitment to send pictures and letters to their child’s birth mother on a regular basis. This blog is intended to give a window into what may happen after you send those pictures and write those letters. Each story is unique but they all speak to the ways in which keeping the connection to your child’s birth family via pictures and letters is an expression of love, gratitude and respect for their role in your child’s life. Part one of this blog is a reflection of some time I spent with a birth mother in my role as an adoption social worker. The second part is an excerpt from a letter written from a birth mother to her child who has been adopted and her parents. The third part is about a surprise visitor we had at the agency. All parts offer small glimpses into what may happen after you so thoughtfully write the letters and print and send the pictures for your child’s birth parent. This is my reflection from a visit with a birth parent about one month after placement. Her name has been changed in order to maintain her confidentiality. We met at her house and I brought pictures and a letter from the adoptive parents with me. As I sat across the table from Jamie, I watched her hands reach out for the envelope in my hands. Her focus is so intent on what is in the envelope, you can see that the rest of the room just disappears for her. As she looks at each picture, I see her shoulders visibly relax and her face light up with a look that is reserved solely for those she loves. She pages through the pictures, puts them back in the envelope and through tears, tells me how much better she feels seeing how well her daughter is doing. Looking at these pictures confirms in her heart and her mind that she made the right decision. She says she can see how well her parents are caring for her. Jamie smiles and notes she can see a little of her own nose in the pictures of the baby. Her relief and sense of comfort is visible in her body language. Jamie expresses that seeing the pictures and reading the letter relieve a little of the pain and sadness she feels inside. As I was writing this blog post I had the opportunity to read this letter that was forwarded to me. A birthmother wrote it to the adoptive family, less than one year after placement. Her words are from the heart and express thoughts that had been tumbling around in her head for a while. Here is an excerpt from the two-page letter. This piece emphasizes how important the pictures and letters are to this birthmother. It also gives some insight into how much this birth mother loves the child that she gave birth to. 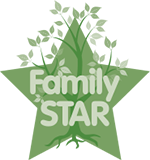 The third part of this blog is about a birthmother who reached out to Adoption STAR around 10 years after she placed. A birth parent came to the agency requesting to begin to reestablish a connection with the child she had placed for adoption over 10 years ago. She tearfully explained that she did not remain in contact for so many years because she wanted to be free of what she considered to be negative influences in her life before she connected with her child. She was not expecting anything from the agency or the family, and was prepared for us to say, “it is too late, you lost your chance”. While she sat in the office we were able to go to her file and pull a large stack of pictures and letters that had been sent here for her over time. She was shocked that the family continued to send pictures and letters for all those years. She had lots of tears and felt an immense amount of gratitude to the family for keeping up the contact even when she had not. Many adoptive parents don’t know what happens to those pictures or letters after they are sent. It is an open-ended process for which there are no tangible results. You are holding on to the faith that some day these will be important. The sincere hope that at some point in the future your child’s birth parent will contact the agency and realize what treasures, sent by you, await them. In addition, your child will know that you did your best to honor the connection to his/her past. So keep sending those pictures and letters!